Pressure transmitters are pressure transducers with extra electronics to transmit an amplified current or voltage output signal (2 wires or 3 wires) over long distance without any significant drop in accuracy. Pressure transmitters are classified based on parameters such as operation range, accuracy level, type of media, manufacturing technology, output type, process connection type, application, physical specifications, etc. Pressure transmitters are executing in many industries for different applications such as pressure, level and flow rate of gas or liquids. Pressure transmitters are calibrated for their application ranges with non-affected results by temperature fluctuations in specified temperature range for them. Media Water, gas, flammable liquids, acids, alkaline, sewerage, chemicals, foods, etc. Accuracy ± 0.01%…± 0.5% F.S. In the past decades, pressure transmitters have been improved significantly through different technologies and approaches that result in lower power consumption, suitability for different material, smaller size and weight, and fast response with high reliability, sensitivity, accuracy and repeatability. 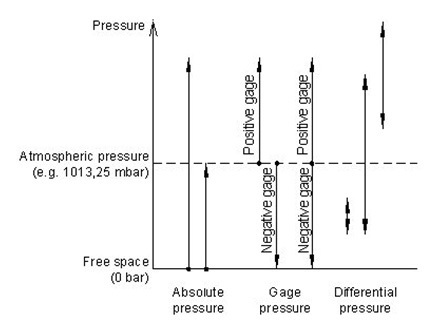 Below pictures and graph show different possible pressure references to adjust the pressure transmitter based on them. There are different approaches used to measure pressure. 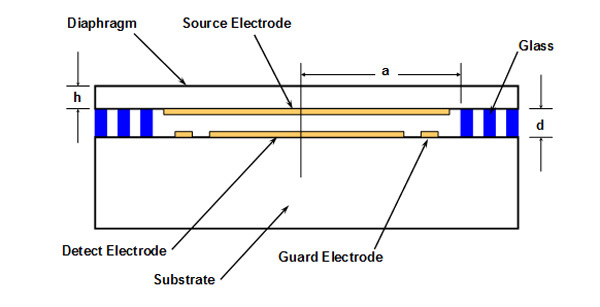 These approaches are mostly based on special requirement of customers and advantages of the technology executed.The most common sensing technologies used today are Force collector types, Piezo-resistive and Piezo-electric, Electromechanical Strain Gage, Variable Capacitance, Electromagnetic as well as optical fibre sensing.Force collector types are electronic pressure sensors using a force collector component, such as diaphragm, piston, bourdon tube, and/or bellows, to measure the strain caused by the applied force over an area, therefore, measure the pressure In respect of Piezo-resistive effect, Piezo-resistive material such as silicon, molecularly diffused onto a metal or micro-machined diaphragm, is used to detect strain generated by the applied pressure. Similar to strain gauge-based pressure transmitters, Wheatstone bridge circuit is formed to maximize the output sensitivity of the sensor. Piezoelectric materials are also used as sensing element due to their piezoelectric effect in response to applied mechanical stress. 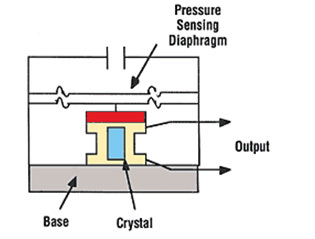 Capacitive pressure sensor uses a diaphragm and pressure cavity to create a variable capacitor to detect strain due to applied pressure. Common technologies use metal, ceramic, and silicon diaphragms. Generally, these technologies are most applied to low pressures (Absolute, Differential and Gauge). Fibre sensing for pressure measurement. Please complete the enquiry form below for specific information and advice on Pressure Transmitters.